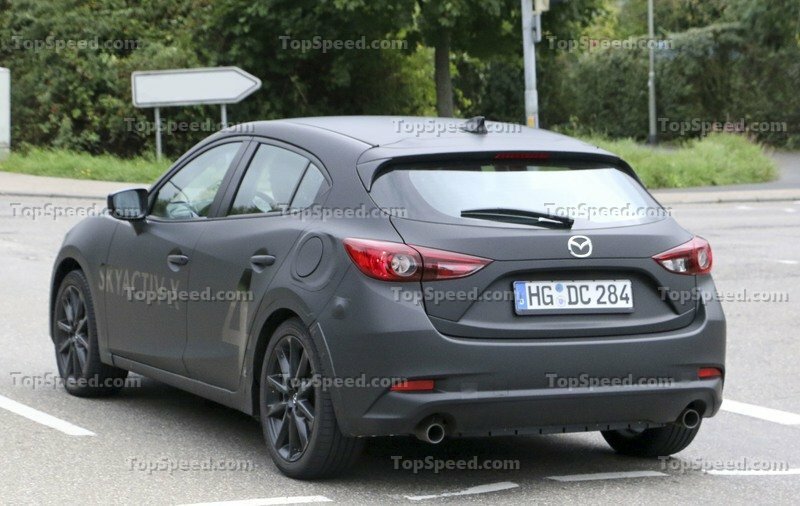 Even though it has been recently updated, it looks like Mazda is already working on a successor for their hatchback. 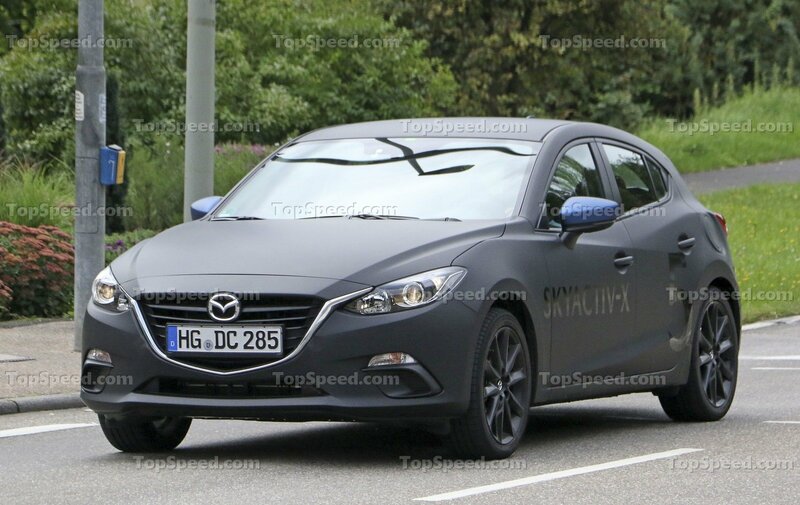 This is expected to be released with the 2019 Mazda3 and so far the details are interesting to say the least. For starters, the car is more than likely going to be revealed in the early 2018 and go on sale shortly after. So far the price is still under wraps but it looks like it may cost more than its predecessor. 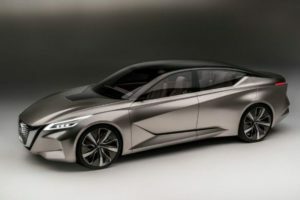 So far there haven’t been any official details revealed about the future car. 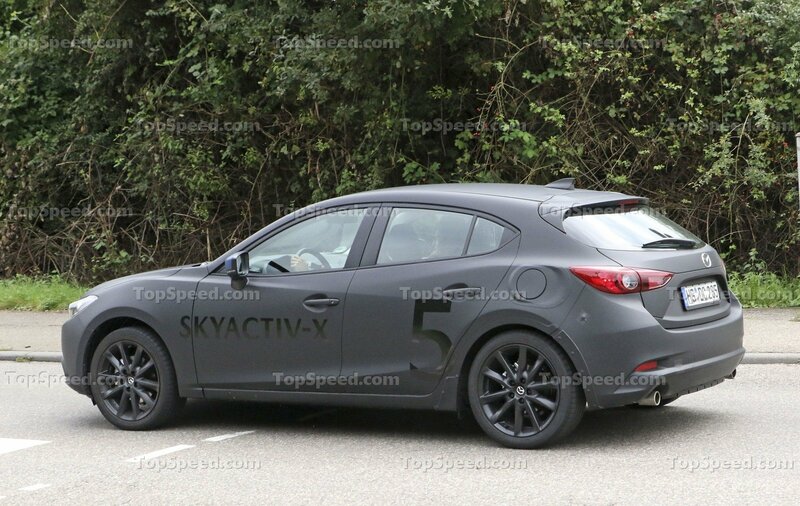 However, we managed to take a peek at Mazda’s future SkyActiv-X technology on a Mazda3 test mule. This is likely the development prototype for the 4th generation of the hatchback. 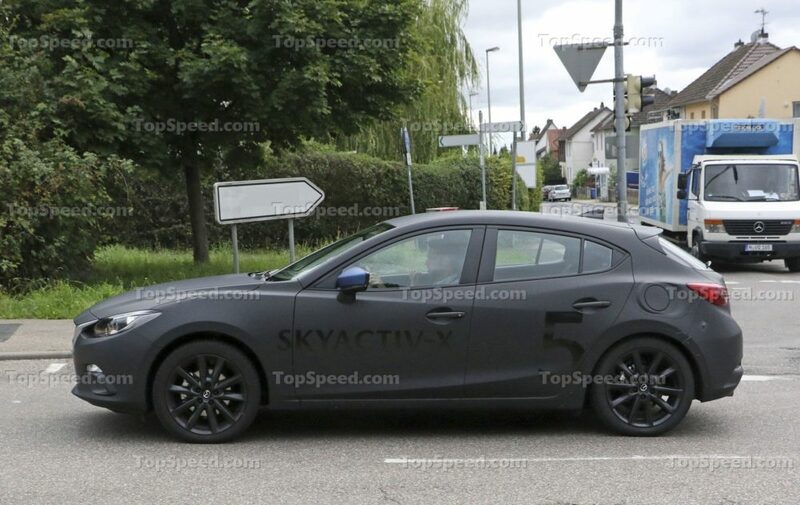 This is still expected to use the same SkyActiv platform as its predecessor. 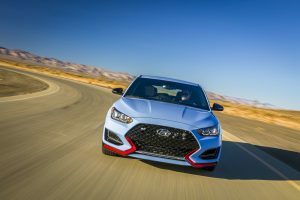 However, improvements made to the manufacturing process and slightly better materials should assure the car will be lighter, safer and provide better NVH levels. The wheelbase, its width and even the length are expected to remain the same as before. One of the biggest changes would be the addition of all wheel drive. This would allow the 3 to become a far more competitive offering than its predecessor. 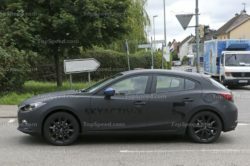 Unfortunately the 2019 Mazda3 is still a while away from its unveiling. 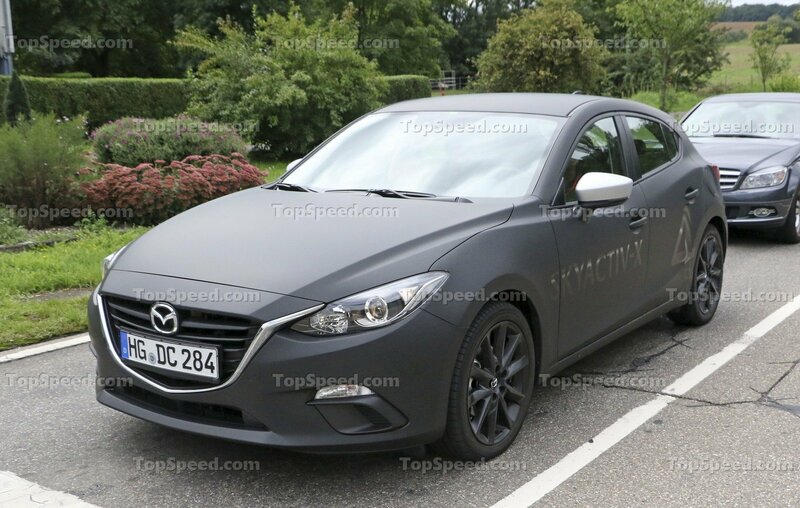 On top of that, Mazda is well known for managing to keep their cars a secret well into the development process. Even so, it is safe to assume the upcoming 3 will have an evolutionary design over the current model. 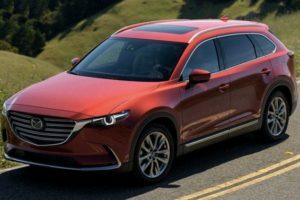 It is expected to receive a similar front end to Mazda’s new CX5. The headlights are likely going to be slimmer and slightly longer in order to meet the grille’s chrome surround. The rear of the car is likely going to become a bit more aggressive than before as well. 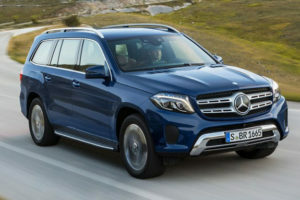 Expect new LED headlights and tail lights, likely all new wheel designs as well as new creases around the body in order to accentuate its aggressive character. The interior of the new 3 is also going to go through similar changes. The dashboard is expected to have far less buttons than the current model. Also, the climate controls might move up on the center stack while the infotainment screen is expected to be integrated into the dashboard. This would make it look a bit cleaner while also improving the ergonomics. 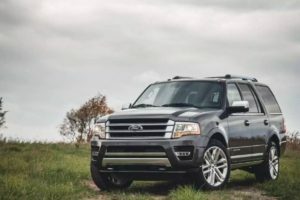 Both the 2.0 and 2.5 liter engines are expected to be discontinued. Also, the European market might not get a 1.5 liter gasoline engine or even a 1.5 liter diesel. 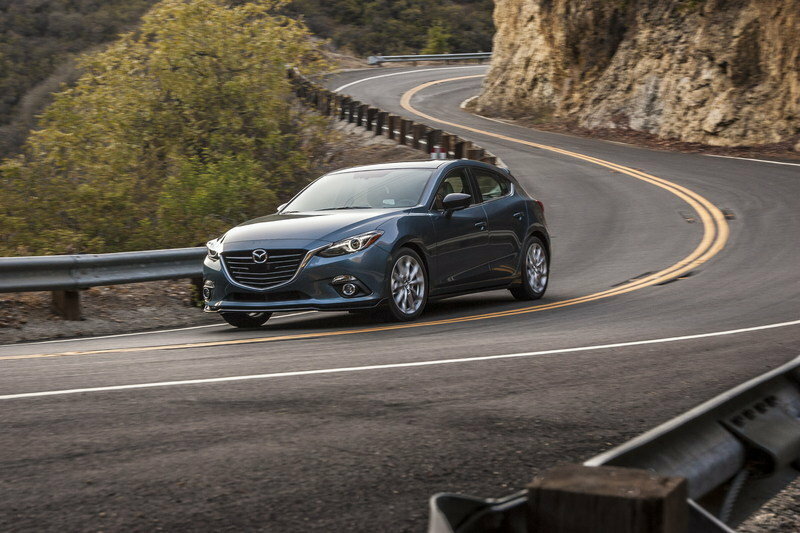 This is because the 2019 Mazda3 will be the manufacturer’s first car to use HCCI technology. This will combine compression-ignition with spark-ignition on a gasoline engine. Even though it may sound complicated, it basically means the gasoline engine will work like a diesel during low-load scenarios. The end result should be an improvement to its fuel consumption by up to 30%. On top of that, this will allow the new engines to be more powerful and more refined while not needing a turbocharger. 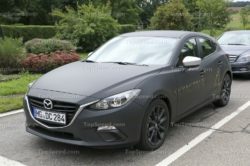 In fact the base engine might be a new 2.0 liter unit offering between 130 and 190 horsepower. A larger 2.5 liter naturally aspirated mill with as much as 220 horsepower is also a real possibility. Both of these are expected to be offered with either a 6 speed manual or a 6 speed automatic. 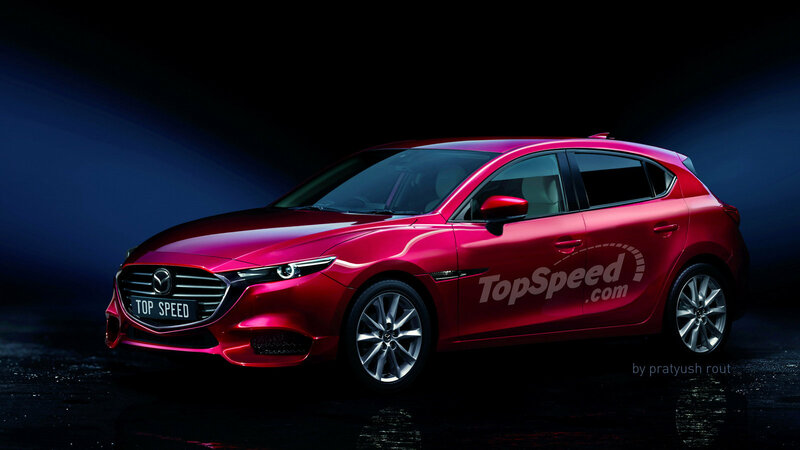 On top of the usual front wheel drive setup, it looks like some rumors are suggesting an all wheel drive system. This has yet to be confirmed but it would make a lot of sense considering all of its rivals offer this feature.